Here’s how to watch or live stream Apple’s September 12th keynote Live on iPhone, iPad, Mac, Windows, Android, and Apple TV. The event is going to be held in Steve Jobs Theater at Apple Campus on 12th Sep 2017 at 10 AM PT. At Apple’s 2017 Keynote event, Apple is expected to unveil new iPhone X, iPhone 8, iPhone 8 Plus, Apple watch Series 3, 4K Apple TV along with the final version of iOS 11. 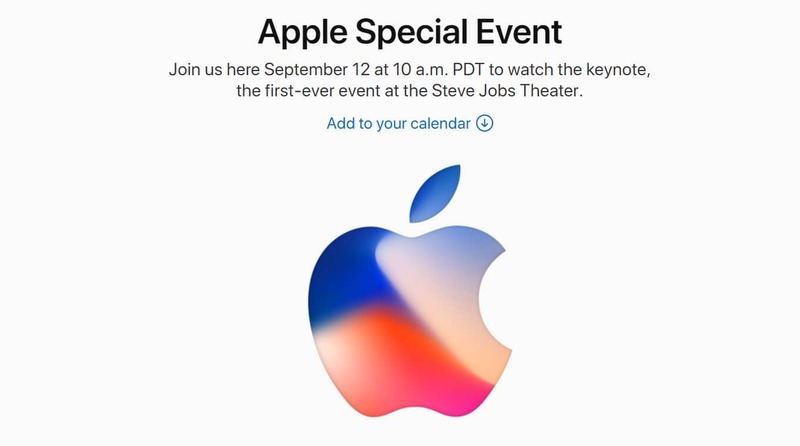 Apple will live stream keynote, on its Apple Special Event website. Apple TV users will have to download the Apple Events app from the App Store to watch iPhone Keynote event live. To live stream iPhone 2017 Keynote on Mac, Launch Safari browser and enter the following url: https://www.apple.com/apple-events/september-2017/ in the address bar. If you are running iOS 7 or later, Launch Safari browser and enter the following url: https://www.apple.com/apple-events/september-2017/ in the address bar. Windows 10 users can watch only from the Microsoft Edge browser. For Windows, download the VLC app from this link. For Android, download the Android app from this link. If you are from United States, 12th Sep Keynote event will live stream at 10 A.M and If you’re outside of United States see the following time zone here. So are you excited about Apple’s 2017 Keynote Event? Are you planning to watch it live?